The 1th edition of the International Chess Tournament Fermo-Porto San Giorgio was held on 21-29th August, 2010, at the Astoria Hotel in Fermo (5 minutes from Porto San Giorgio on the sea). The Master Group featured a strong lineup, with GM David Alberto (LUX) heading the field. About 250 players competed in four Groups. In the Master Open, six players shared the first place with 7.0 points each: IM Salvador Roland 2498 PHI, GM Epishin Vladimir 2598 RUS, GM Prohaszka Peter 2526 HUN, GM Meijers Viesturs 2474 LAT, GM David Alberto 2622 LUX and GM Leon Hoyos Manuel 2556 MEX. 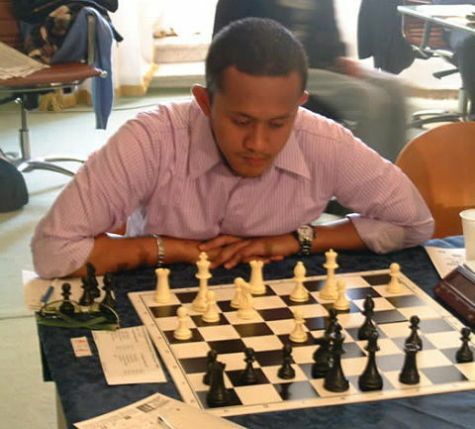 IM Salvador from Philippines was declared winner on best tiebreak score and he doubled the celebration by fulfilling his third and final GM norm.